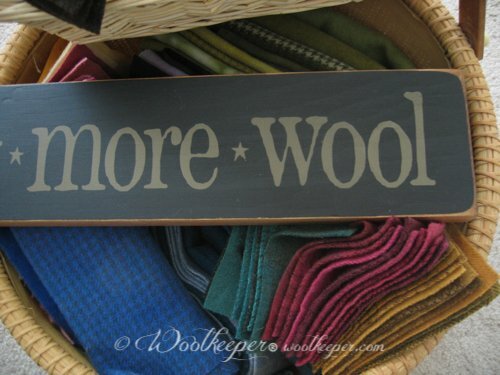 Woolkeeper® will be hosting many gatherings for those who love wool and handwork. Colonial Knots will meet the first Saturday of each month from 10:00 a.m. - 2:00 p.m starting on September 6th, 2014. You can bring any wool project you choose. 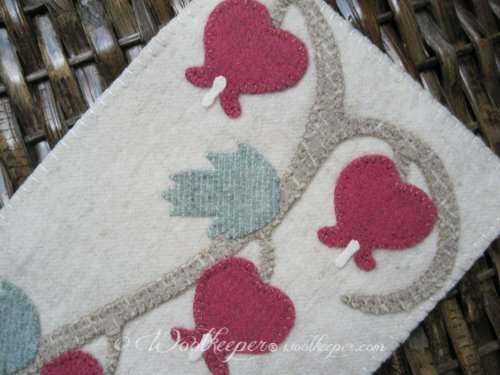 I'll demonstrate an embellishment stitch each month that you might enjoy incorporating into your wool projects. We'll help and encourage each other to get those works in progress done. Bring your lunch or take a break out and catch a bite. 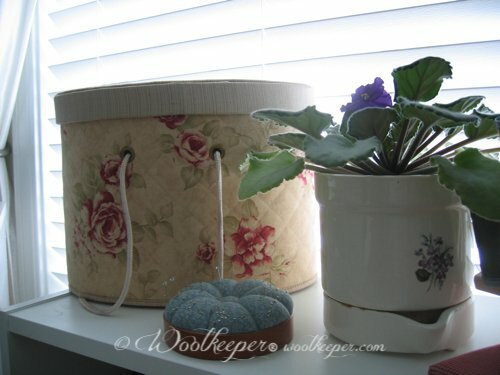 New Woolkeeper® Banner of the Month Series with classes. This series of classes will meet the second Sunday of each month from 12:00 p.m. - 3:00 p.m. There will be a new 6" x 12" banner each month for 12 months. We will start in September with the January banner so it will be done in time for display in January. A sneak peak of the first 3 banners is above. An iron stand like the ones in Woolkeeper's Corner will be available for $30. I'll be putting in an order for those who want them, so let me know if you are interested. The class fee is $18:00 a month plus kit and pattern. 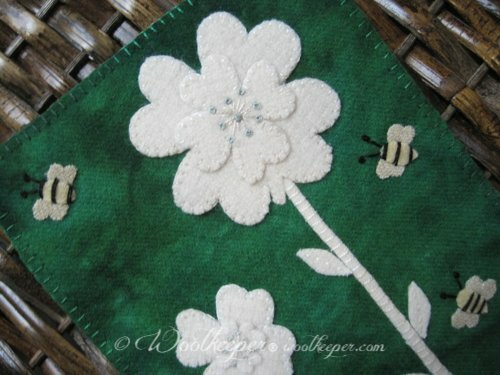 12 month class participants will be able to purchase the kits and patterns for a lower price. Sign up required at Prairie Stitches Quilt Shoppe. 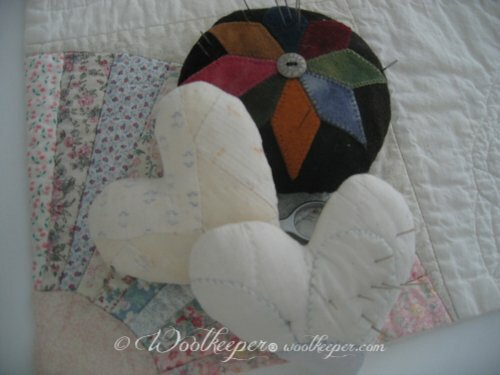 Woolkeeper classes will occasionally feature projects from other designers. 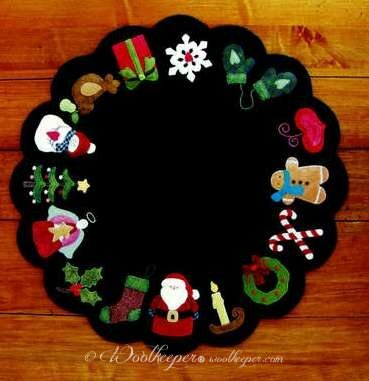 This 21" Christmas Table Mat from Brandywine Designs is just too sweet to pass up. We will get this mat finished in plenty of time for the holiday season. Woolkeeper is putting together a fantastic collection of wools to complete this kit. A wool backing will be included. Kit and pattern required for class. Class will be Saturday September 27th from 10:00 a.m. - 2:00 0r maybe 3:00 p.m. or so. 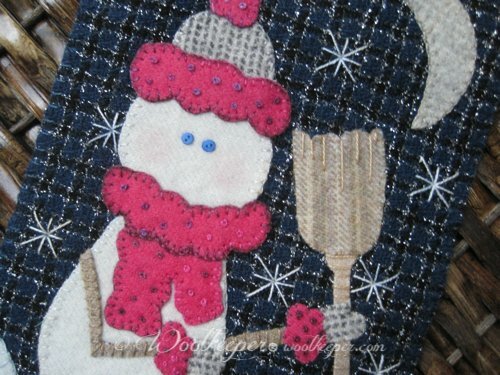 We can stitch till the shop closes:) A follow up session on Saturday, November 29th from 10-2 will be available if you need more stitching time to complete the mat for the Holidays. Woolkeeper has approximately 300 balls of Valdani Pearl Cotton #12 arriving in the next week. I'll get it in the thread chest in the Corner as soon as it arrives. If there is a color you need or want let me know. Would be glad to order it for you. My heart felt thanks goes to all of you that have supported me in so many ways in getting Woolkeeper's Corner open. I can't begin to express how many special friends were there for me. Thank you everyone who came to the grand opening and shared your time and friendship with me. Thank-you so much for the love, encouragement, friendship, laughs, smiles and support along the way. I am a very fortunate woolie.